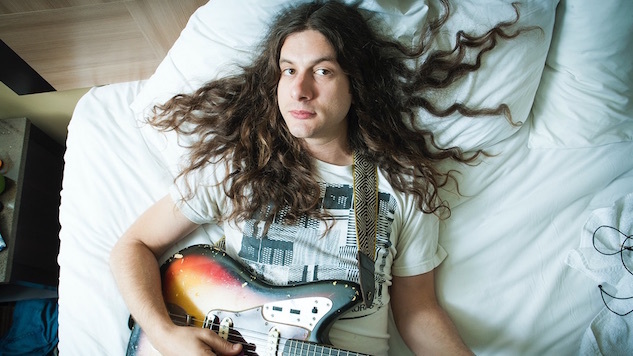 American multi-instrumentalist Kurt Vile will return, with his backing band The Violators, to tour North America for the first time in over a year. Last year, Vile toured alongside his comrade in arms Courtney Barnett in support of their collaborative LP, Lotta Sea Lice, with the duo appearing in a half-hour concert doc called Friends of Wonder. Vile has also been seen recently in television, performing on Colbert next to Barnett, covering the theme song to Squidbillies and, most recently, appearing as a roadie in an episode from Portlandia’s eighth and final season. Vile’s upcoming tour kicks off June 13 at the Metropolitan Theatre in Morgantown, W.Va. After that, the musician and his band will continue their 12-city, month-long run that ends at Charlotte, N.C.’s The Underground. For select shows, Vile and The Violators will be sharing the stage with the Columbus, Ohio-based band Connections and solo musician Dylan Carson. Vile’s most recent solo album, titled b’lieve i’m goin down…, was released on March 6, 2015, via Matador Records. Don’t miss the chance to see Vile take the next step in his career during his upcoming summer tour. Tickets become available starting this Friday, March 23. Check out the tour dates for Kurt Vile & The Violators below. Then, revisit a Paste photo gallery of Vile and Barnett performing live in Portland, shot by Sean Edgar, right here.